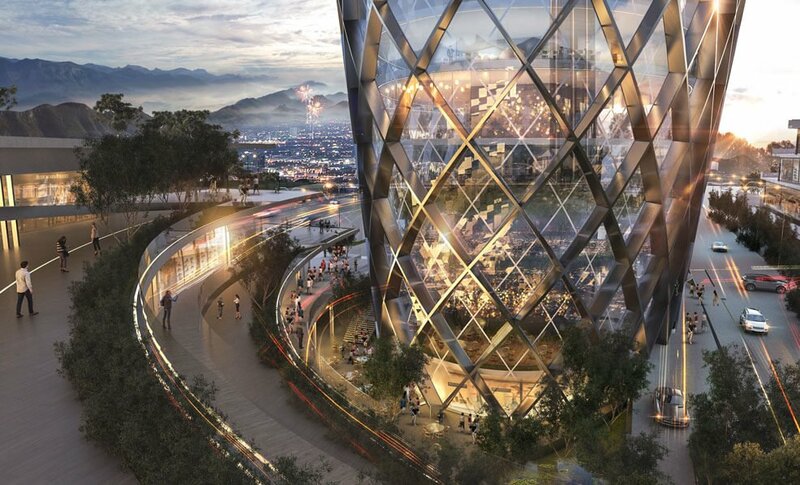 Proyectos 9, real estate developer from Monterrey, has announced that Sordo Madaleno Arquitectos has been selected as the winner of the international design competition for the architectural design of Constitución 999, a new mixed-use complex that will enhance the downtown area of Monterrey. Through this call, the redensification of the Mirador neighborhood is proposed, opting for the unification of residential, commercial, corporate and hotel uses within this underutilized area, and with the aim to initiate the urban regeneration process at the center of this Mexican northern macrocity. Integration, appropriation and revitalizaton are the 3 factors that became the design bases of the winning project. An architectural exercise where not only an isolated project was proposed, but it extended its physical barriers to its immediate context to generate a dialogue with the city and achieve the purpose of regenerating the public spaces of the area, such as the Plaza de los Compositores. The masterplan, planned by Sordo Madaleno Arquitectos in two phases of development, contemplates the union of several plots surrounding the initial project for the creation of an action epicenter with an ellipse configuration, allowing to blur the urban boundaries and connect each new masterplan building with each other, and, as a result, the insertion of the central building into the interior of the ellipse. The main element of the complex consists of an outstanding tower –which combines offices, hotel, and housing in its interior– with a unique aesthetic that resulted from the integration of an innovative structural system to the façade of the building. 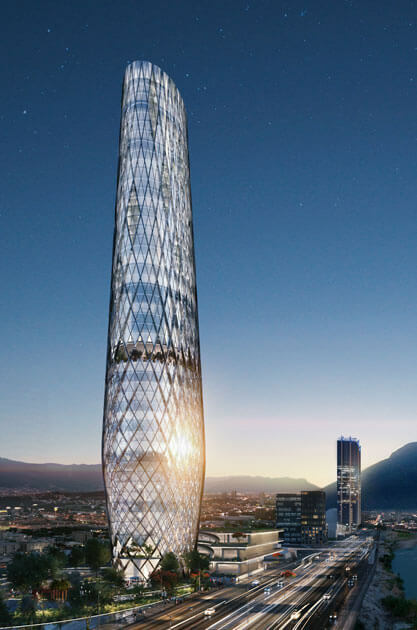 This new tower rises 227.70 meters to become a new urban icon of Monterrey.